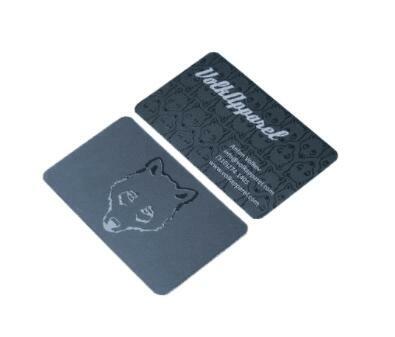 Spot UV cards are now more and more popular among the majority of card-making friends. The reason is that the Spot UV card is special, the appearance is beautiful and graded, and the convex content of the card can be highlighted. It can reflect the key of this card. It is the effect of partial printing of Spot UV varnish specified on the surface of the pvc card. The specified pattern or text can be printed with Spot UV varnish to achieve the effect of Spot UV bulging. The Spot UV varnish is transparent and has no effect on the printed graphic content. The production of Spot UV cards is generally made of pvc material, you can do glossy, matte, matte surface, or use pvc transparent material can do, see personal preferences. In addition to the Spot UV process, other pvc card processes can be done, IDIC cards can also be produced according to such a process. Spot UV cards are a kind of high-end cards, which are commonly used in high-end places or shopping malls, such as KTV, hotels, large supermarkets, airports and other places. Price and samples details,please contact Email:sales@mhgyjs.com.